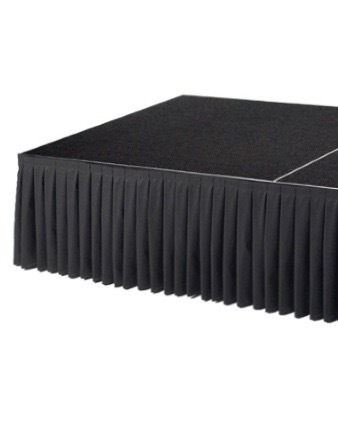 To determine the number of skirts needed, first measure the linear footage necessary to go around 3 or 4 sides of your stage then rent the number of 16′ pieces required. Skirting is rented in 16′ lengths only. Pricing is $16.00 per skirt for 8″, 16″ and 24″ heights.